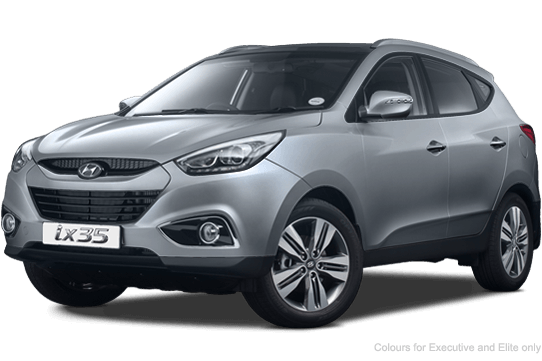 Hyundai iX35 rental – The Hyundai iX35 is one of the most popular options on our SUV rental fleet and with good reason. With top features including a rear-view camera, integrated Bluetooth, 4” LCD touchscreen and acres of boot space; our happy customers are hard pressed to find a better value for money SUV rental option. 17” premium alloy wheel set. Most boot space in its price class. If you are looking for a Hyundai iX35 SUV Rental in South Africa, then Pace Car Rental is the place to be, with highly competitive SUV hire rates and a fleet of Hyundai iX35s that is maintained strictly according to manufacturer’s standards to ensure the safety of our renters; you will be hard pressed to find better value for money SUV rentals in South Africa. Call us on 011 262 5500 now to book the best value for money SUV hire in town.